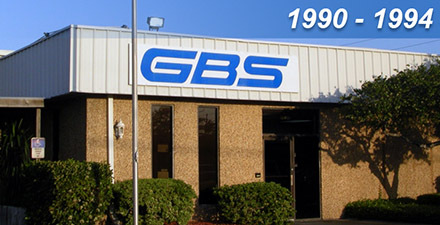 1971 – GBS was founded by Mr. Larry Merriman in 1971 as a printer and distributor of business forms. GBS became one of the largest business forms printers and distributors in the U.S. by introducing Fortune 500 customers to our innovative print management program. 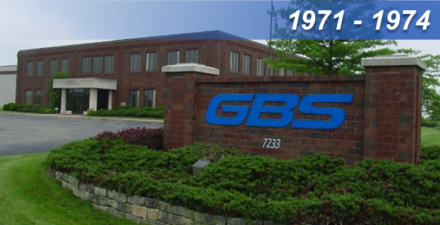 1974 – GBS began producing filing products in 1974. 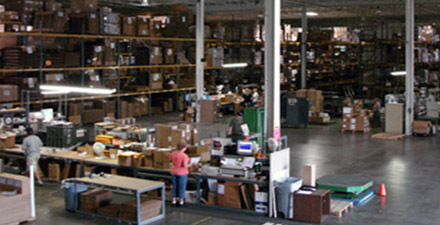 Our filing products facility is located in Malvern, Ohio. 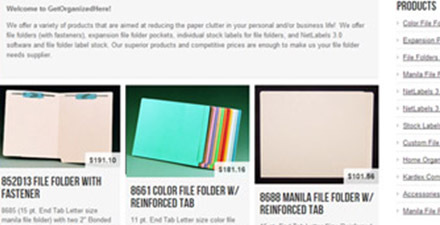 We manufacture a comprehensive range of color-coded filing systems and related information storage and retrieval products. 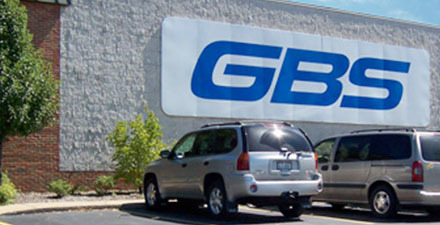 GBS markets our filing products nationally and internationally through authorized distributors. 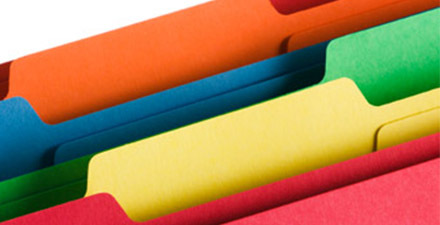 We make filing, tracking, and retrieving files and documents fast, easy, and efficient. 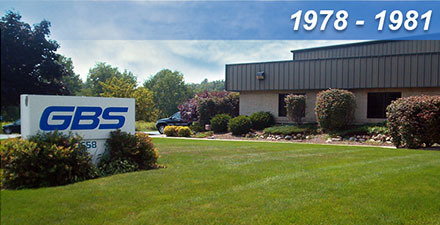 1978 – GBS began offering computer solutions in 1978. 1980’s – GBS began to experience rapid growth and partnered with such industry leaders as IBM, Hewlett Packard, and Microsoft. The advent of the PC microprocessor drove significant industry changes propelling GBS into various vertical markets including Construction, Distribution, Municipalities, Credit Union, and Healthcare. 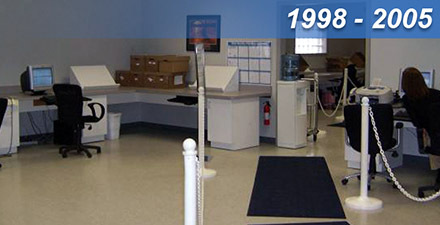 1981 – GBS began offering labeling solutions in 1981 from our Stow, Ohio facility. 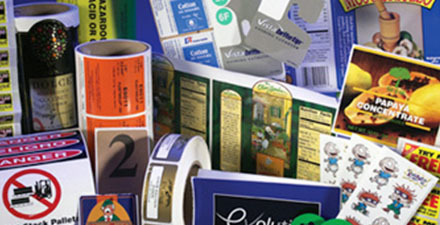 GBS’ labeling solutions encompass virtually every kind of label in rolls, sheets, and fan-folded formats. 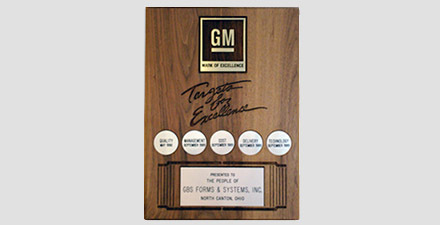 1990 – GBS partnered with General Motors (GM) to provide a complete label and print management program and became the first service company to receive GM’s prestigious “Mark of Excellence” award. 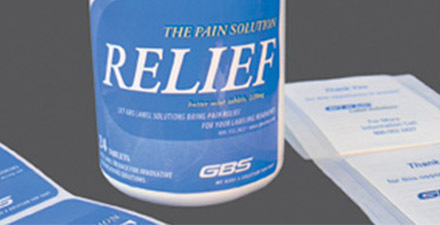 GBS provides all types of labels including product labels, promotional labels, industrial labels, brand labels, pharmaceutical labels, stickers, ID cards, security labels, wall borders, shipping labels, and extended text labels. 1992 – GBS purchased another labeling facility in Clearwater, Florida. 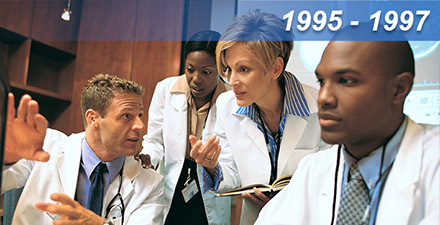 1995 – GBS continued to expand our computer product and service offerings and initiated business partnerships to provide business specific solutions. 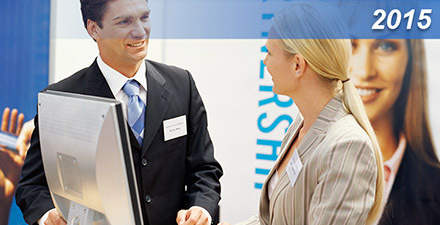 Sharetec – A national leader in new system installations over the last ten years in the Credit Union marketplace. 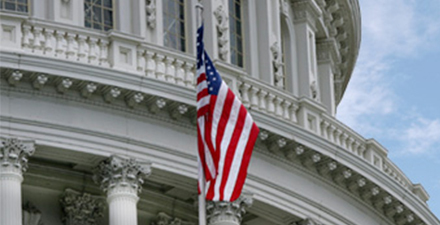 CourtTRAC/JuryTRAC – GBS is an expert resource and leading developer of an integrated suite of government (court) solutions. 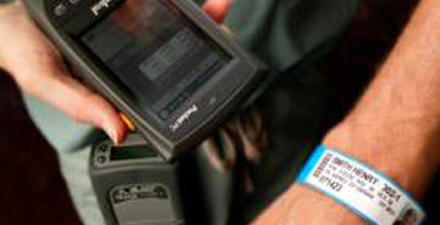 PHG Technologies – Industry experts in patient identification barcode technology and systems integration. 1997 – Sharetec Credit Union software became recognized as the fastest growing core processing solution in the Credit Union industry. 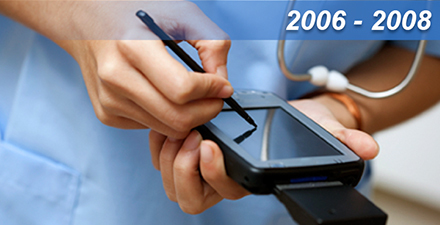 1999 – GBS sold our 500th practice management software solution. 1999 – GBS introduced NetLabels, a quick, easy and efficient labeling solution that enables folders to be labeled to a Client’s exact specifications. 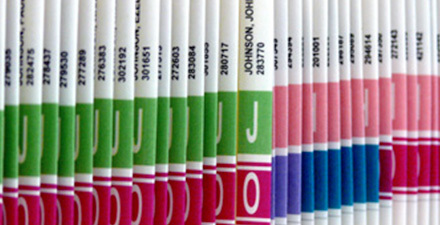 NetLabels eliminates the need to bulk order pre-labeled folders or stockpile individual labels on rolls and sheets. 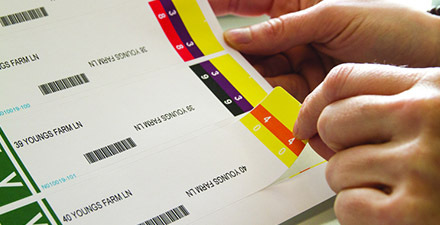 Users can quickly and easily print the labels they need on demand with all the information for each folder on a single label. NetLabels saves time and money by streamlining the file labeling process. 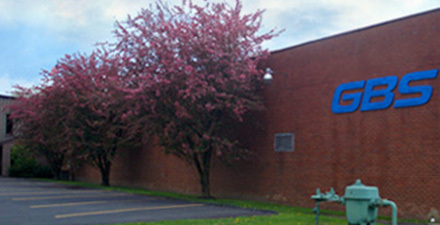 2005 – GBS opened a state-of-the-art Document Imaging and Conversion Services Center in our Youngstown location, offering a solution to provide robust and flexible document scanning, importing, and image retrieval functionality. 2008 – GBS achieves its status as a leading software developer and Value-Added-Reseller (VAR) of vertical specific software for the healthcare, credit union, and government industries. 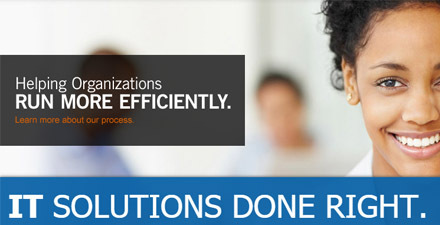 NextGen® Electronic Health Records (EHR) and Enterprise Practice Management (EPM) solutions. NextGen® EHR is an electronic health record solution that ensures complete, accurate documentation of patient information to improve outcomes and optimize reimbursements. NextGen® EPM is a true Enterprise Practice Management solution that streamlines front and back office administration. 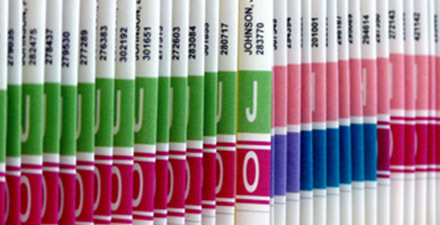 EasyID® – The EasyID® Patient Information and Electronic Document Management System is an easy, accurate way to manage patient identification and information through bar code technology. FileBound – FileBound is an affordable, web-based Content Management Solution. This application allows clients to track active paper files, and provides the capability to convert them to digital images for archival and storage. Conversion Services – Our Conversion Services Center is a 35-workstation document imaging facility with state-of-the-art technologies that enable a client’s documents to be processed to digital format efficiently and securely. 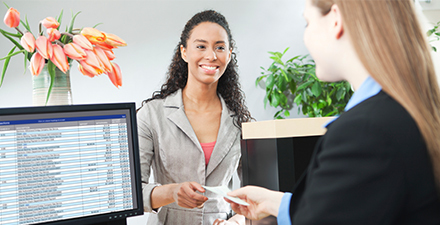 Sharetec – Sharetec Credit Union software is a full-feature core processing system designed to help credit unions thrive. 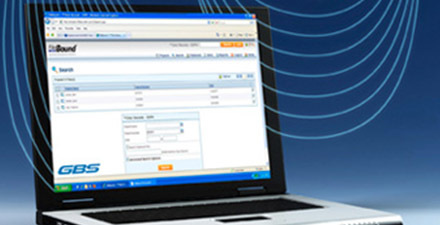 CourtTRAC and JuryTRAC government solutions – The CourtTRAC system automates record creation, record maintenance, record reporting, and record retention for courts. 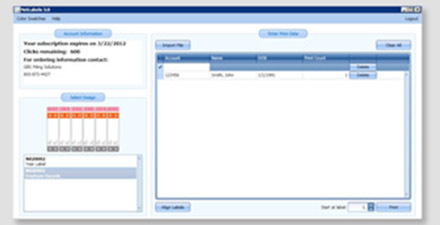 JuryTRAC is a state-of-the-art solution for use in the selection and management of juries. 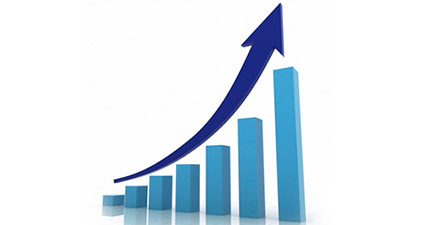 GBS supports our clients with their revenue generating objectives. 2009 – As the traditional print industry has evolved, we have consistently modified our customer solutions to reflect the influence that technology and the economy has played on Corporate America. 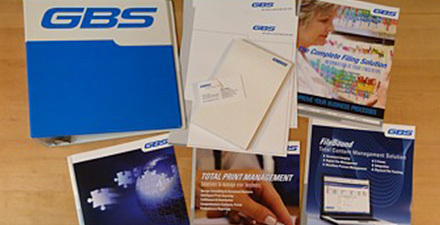 Although our roots are planted around supporting our clients’ print requirements while reducing their cost and improving processes, GBS’ document management solutions utilize technology around Data Services and Custom Communication (Cross Media Marketing) to help support our clients with their revenue generating objectives as well. 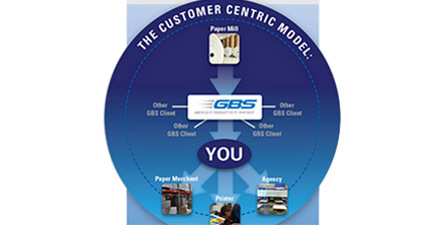 GBS has truly evolved into an organization whose solutions uniquely support the Total Cost of Ownership of the items we manage on behalf of our clients. 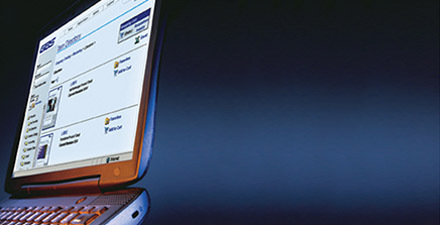 2010 – The best year in history for GBS’ computer solution offerings was recorded. We are committed to helping our customers better create, manage, deliver, and retrieve information – whether that information exists in electronic form within our business applications, on a product label, a print brochure, an invoice, or file folder. 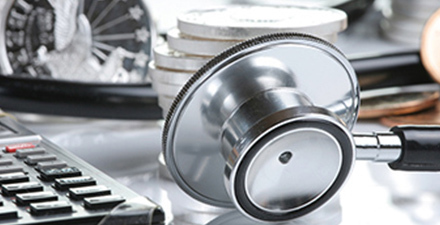 Consulting and Advanced Professional Healthcare Services – GBS has leveraged more than 30 years of experience to help increase productivity of Healthcare providers. 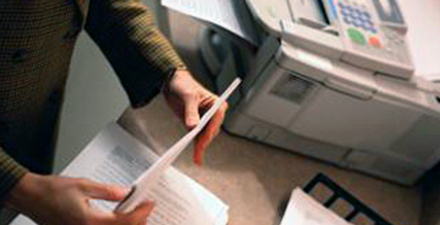 Directed Paper Program – Did you know that paper consumes 40% (or higher) of your overall print spend? Our Directed Paper Program provides unprecedented control, tracking, and measurements of all components of your corporate paper spend. 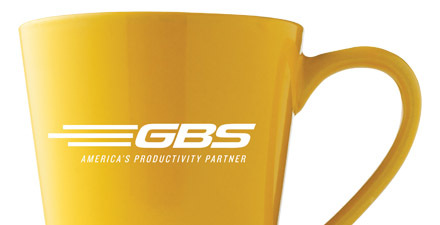 2011 – GBS provides increased productivity for their customers by building partnering relationships focused on consistently meeting customer needs. GBS operates under the principle that next to People, Information is a company’s most valuable asset. 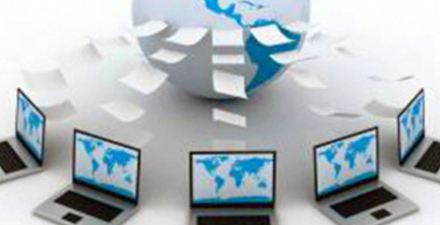 Managing information intelligently is a critical component for any business. 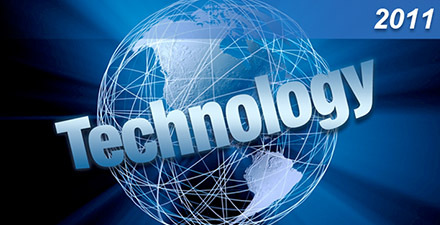 This includes communicating with customers and employees, conducting an efficient product launch, and managing the daily flow of information throughout an organization. GBS is an integrator of software, marketing, information, and data management services. We are committed to helping our customers better create, manage, deliver, and retrieve information; whether that information exists in electronic form within our business applications, on a product label, a print brochure, an invoice, or file folder. 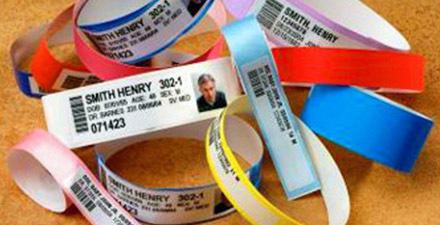 We help hospitals and medical facilities implement the best and most current Patient ID wristbands, labels, and software through our EasyID® products. 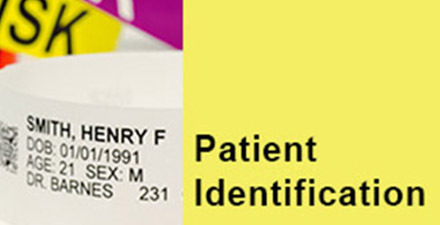 Patient Identification is all about people – patients who need to be comfortable and safe, as well as facility staff who need dependable and efficient products. EasyID® is the solution that meets these needs. 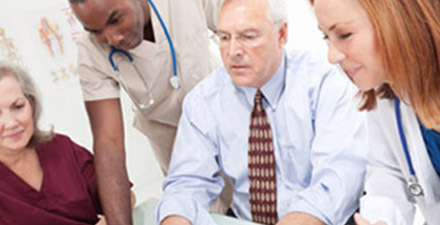 Consulting and Advanced Professional Healthcare Services leveraging more than 30 years of healthcare experience. GBS offers full-service consulting and advanced professional services specifically designed for the needs of the physician practices, ambulatory care, diagnostic and surgery centers, urgent care providers and community medical centers. Directed Paper Program. 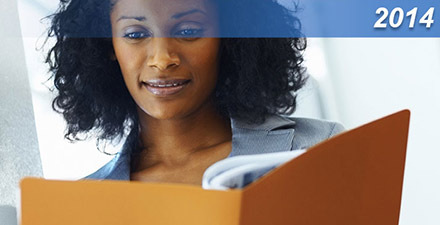 Did you know that paper consumes 40% (or higher) of your overall print spend? Our Directed Paper Program provides unprecedented control, tracking, and measurements of all components of your corporate paper spend. 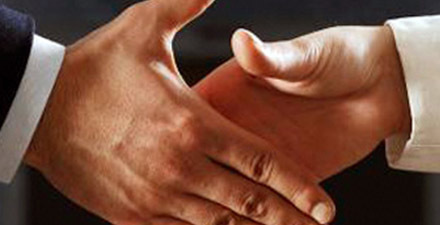 Our superior products, competitive pricing, and exceptional service and support makes us your ideal partner. 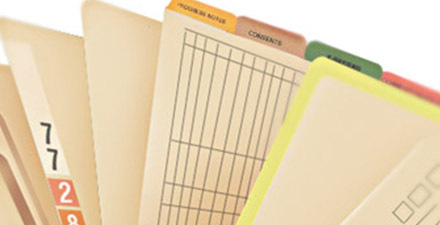 E-commerce Filing Products Website – We now offer an e-commerce website to order filing products – www.getorganizedhere.com. 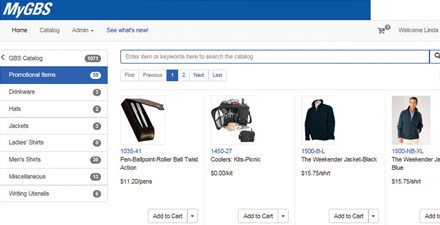 Individuals can view information regarding the products and order them online at their convenience. 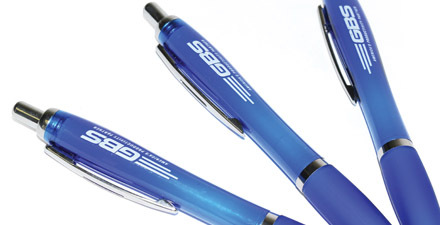 Promotional Items – GBS increased their promotional items program. Promotional products are proven to be one of the most effective media available for marketing and advertising. They’re tangible, useful and precisely targeted to the audience they reach, delivering the highest rate of recall and return on investment. We provide our customers promotional items that helps to increase their brand awareness. 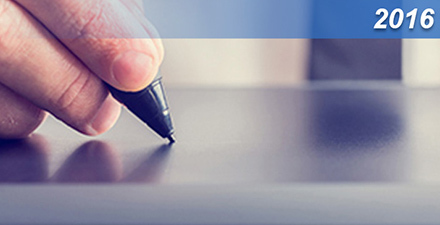 EasySIGN – In 2016, GBS launched EasySIGN – a simplified approach to collecting patient signatures, photos, and scanned ID cards at the Registration Center, Bedside, or Anywhere from a mobile device. Hospitals and medical practices rely on EasySIGN to quickly process patients and ensure that forms and consents are electronically signed and stored in the EHR for safekeeping. RCM – In 2016, GBS identified Revenue Cycle Management (RCM) services as a means to provide medical billing, electronic data interchange and medical coding solutions to hospitals, medical practices, groups and specialty organizations. The Healthcare industry had been experiencing a wave of consolidations, causing small and medium size physician practices to outsource patient accounting and medical billing. 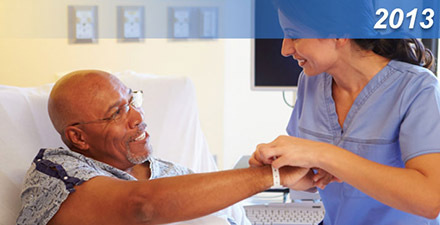 As a result, many physicians now rely on GBS’ RCM services to improve profitability, productivity and patient care, while reducing costs and overhead. GBS acquired Convergent Solutions, Inc. (CSI) located in Wilbraham, MA. – CSI is recognized as an industry leader in the development and application of technologies that significantly enhance financial outcomes and compliance for all types of medical practice, groups and specialties. The acquisition allowed GBS to fulfill the vision of helping Clients compete more effectively in the rapidly changing Healthcare environment by offering customized solutions for increased productivity and profitability.